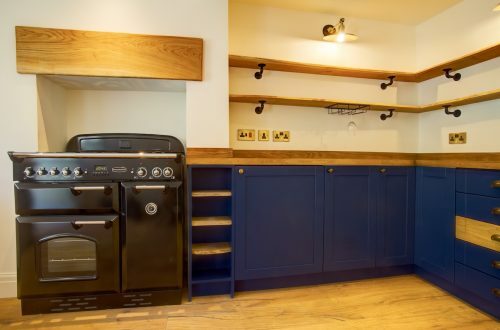 one of our bespoke Kitchens, made to measure in a recent property renovation based in Addingham. Starting with a full rip out brining the property back up to date. 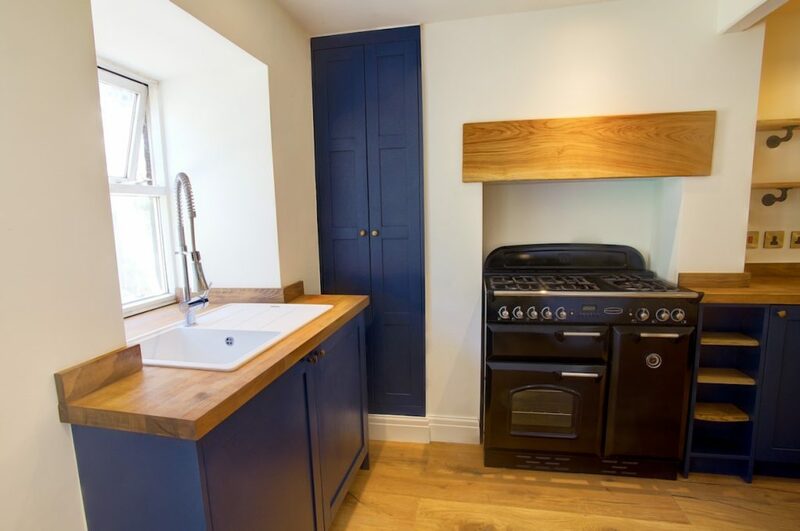 We lifted the temperature of the exterior walls with thermal insulation making for a more pleasant environment also eliminating condensation. All the plastering and joinery work was also updated to suit. 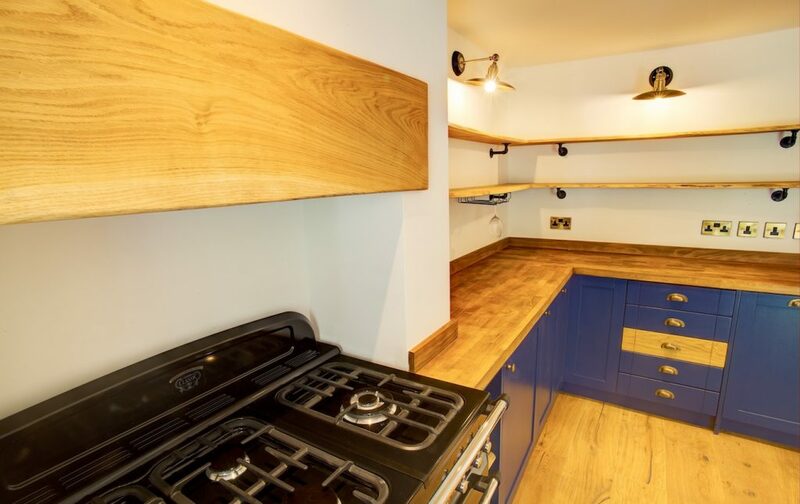 Our small team of joiners designed, made and fitted the kitchen to best suit the practicality and aesthetics of the kitchen, “being a traditional cottage” every bit of the space needed utilising. 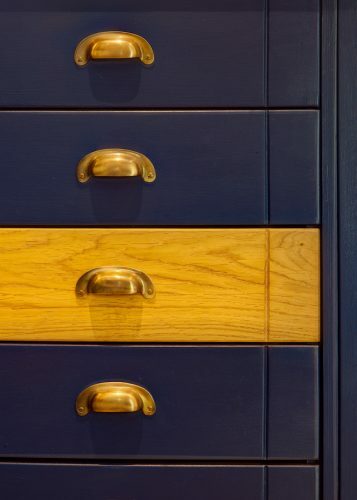 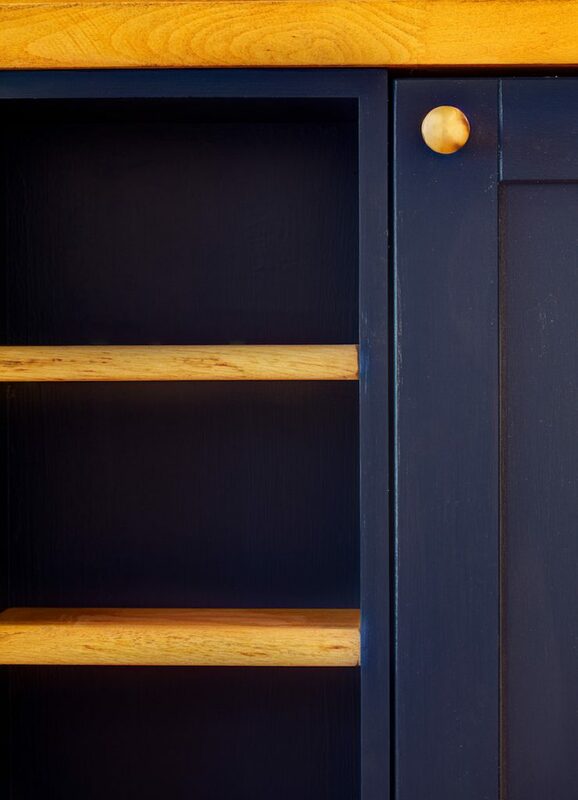 Made to measure birch ply cabinets with tulip wood shaker doors all hand painted in Farrow and ball (stiff key blue). A paint we have been using for years and can easily say you notice the difference. Our plastering was kept uneven to flow with the stone walls therefore in keeping with the property. When making the kitchen, subsequently we had to flow with this as well and it really works with the whole vibe. 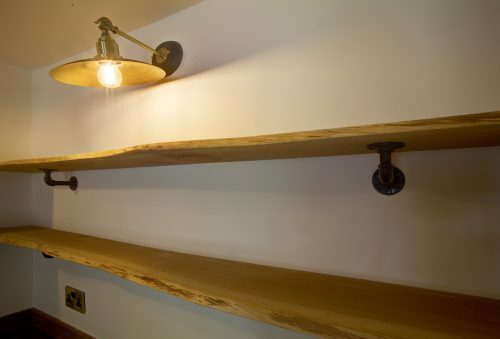 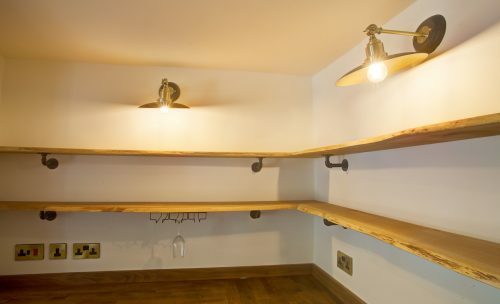 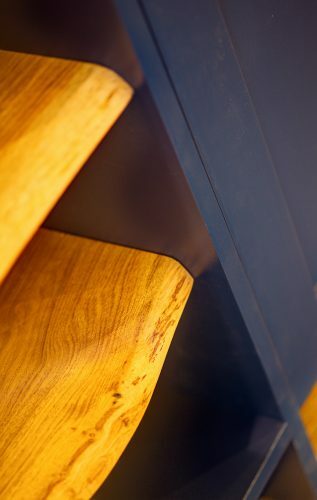 We enjoyed making the wayney edge oak shelving and scribed then in to the uneven walls for a natural effect. 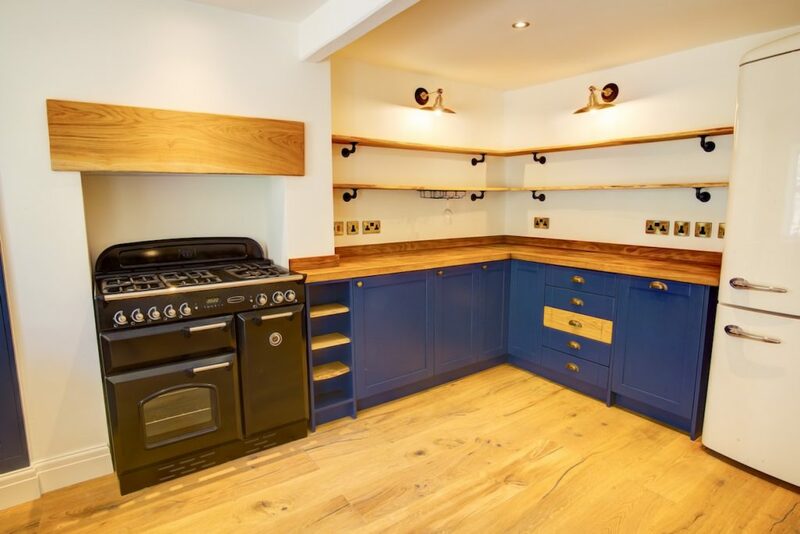 When the engineered oak flooring from The Luxury flooring company was fitted It pulled everything together, definitely a product we would recommend using in kitchen projects. 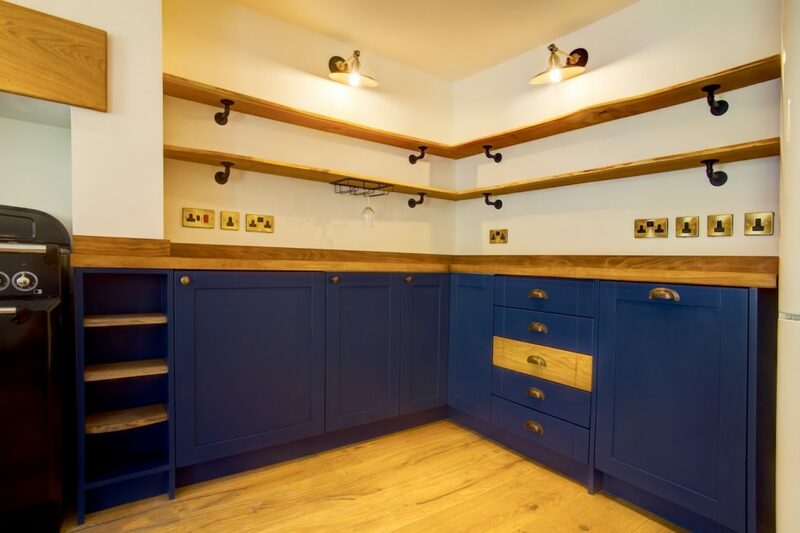 Using Farrow and ball at the colours speak for themselves all the walls were decorated in James white to brighten up the feel of the room. 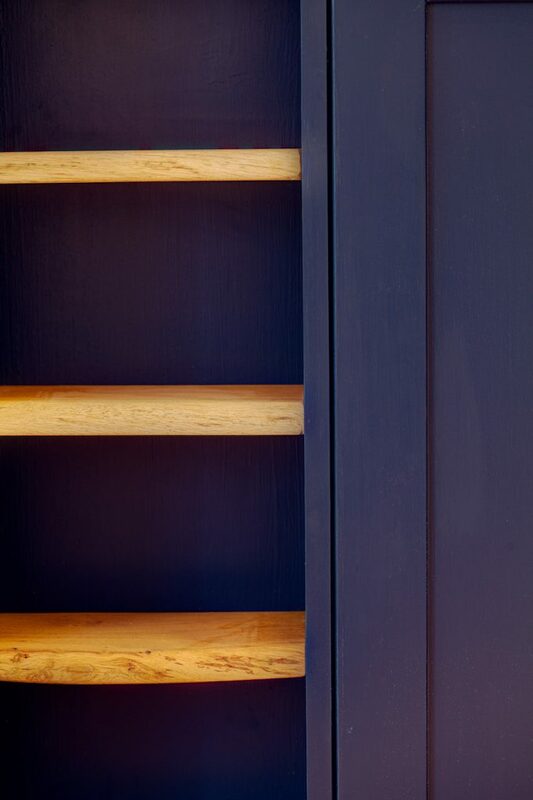 A fantastic project we all thoroughly enjoyed working on. If you would like a chat with us regarding a hand made kitchen then drop us a email on our contacts page. 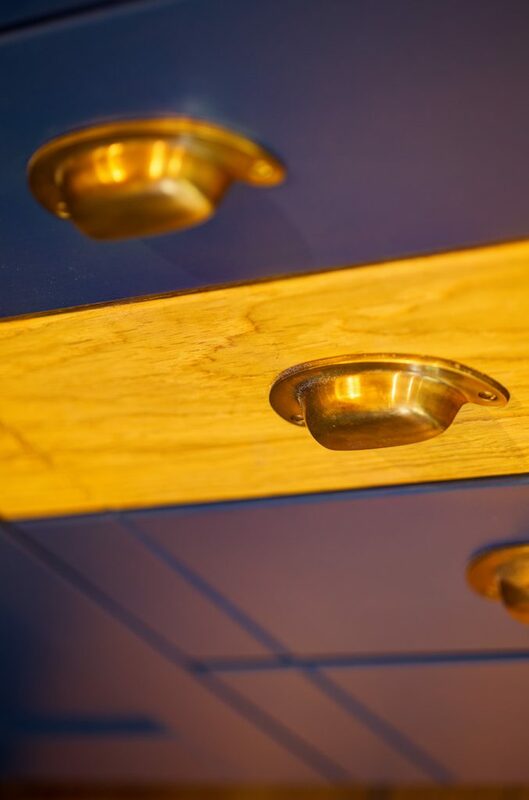 We enjoy working closely with our customers to ensure you get exactly what you want. All customer ideas are encouraged as let be honest we all want something a little different and unique to ourselves.